OUR PRICE: $34.00 - Join Rewards Get $1 Dance Dollars On This Item! Bringing you one-of-a-kind dancewear with unrelenting style and quality, Bullet Pointe reaches new heights in hopes to inspire the dedicated dancer - to create not just a stronger, more powerful dancer, but a bolder, braver woman. This version of a classic ballet skirt features a pull-on waistband, flowy fabric that drapes beautifully, and an asymmetrical hem. Front Length 9.5" 10" 10.5" 11.5"
Back Length 12" 12" 13" 13.75"
Waist Stretch 22"-25" 26"-29" 26"-29" 26"-34"
I am glad I tried this skirt. It has more coverage to the derierre. At 13.75in length (size large), this worked for my 40in hips. The skirt length is different for XXS, XS, S, M and L sizes. I bought my first BP skirt a few months ago and I absolutely fell in love! The design covers your backside, yet makes your legs look long and lean! The colors are gorgeous and there are so many that you can find a color for everyone. I currently have 5 BP Skirts and I can't wait to get more! They are so durable and look so professional. 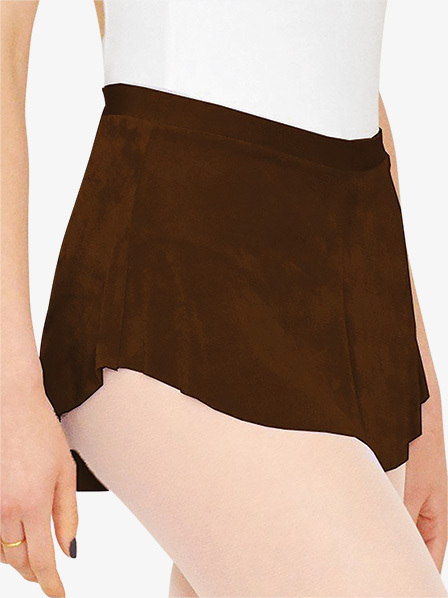 These skirts are my absolute favorite, they are very flattering to the ballet line and fit beautifully. 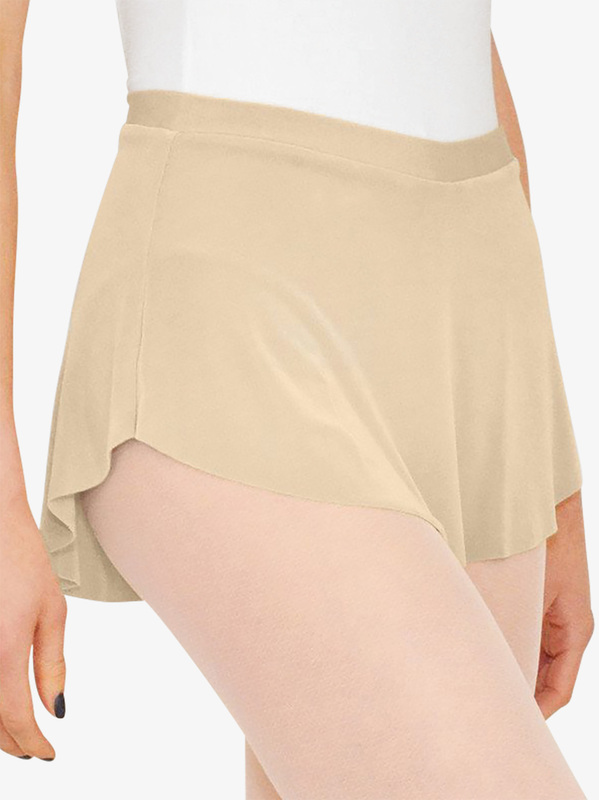 I used to wear wrap skirts but never really liked the look of them, and saw friends at a summer intensive with a couple of these skirts and fell in love. They are on the more expensive side, but are very worth it with how much I wear it! I absolutely love this skirt! 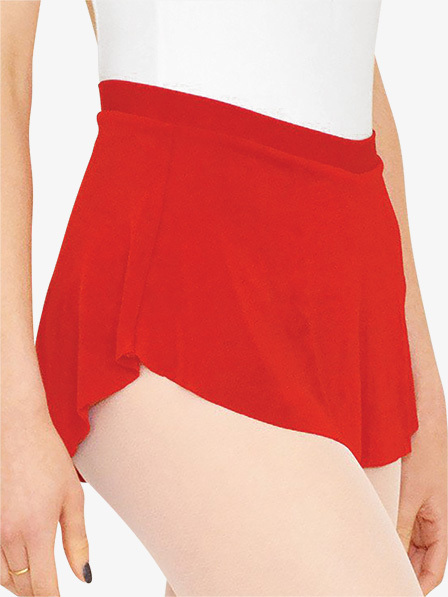 It is comfortable, has amazing quality, and is long enough to cover my bum, which is quite hard to find with my body type! I recommend this skirt and brand to anyone looking for a long lasting material that compliments any body type!